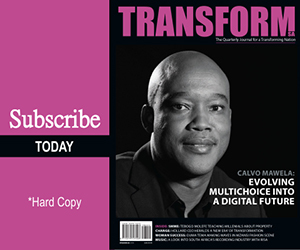 Government agencies, put in place to provide business advisory services to small, medium and micro-sized enterprises (SMMEs), are making an impact in assisting them to grow. “The Small Enterprise Development Agency (Seda) ran a coaching and mentorship programme at three locations in KwaZulu-Natal assisting 90 businesses, which resulted in an overall increase in turnover of R1 829 502 260 for companies in this programme and 1281 new jobs created,” Minister of Small Business Development Lindiwe Zulu said. She was addressing a media briefing about the achievements and progress registered by her department and its development agencies, which include Seda and the Small Enterprise Finance Agency (Sefa) in 2017. “The coaching intervention resulted in 220 new jobs created and an aggregated turnover improvement of 282%. “The training of the mentors was conducted during the second quarter where 53 people attended – 41 Mentors and 12 Business Advisors,” Minister Zulu said. She also highlighted some of the key challenges that her department had identified and planned to address those challenges during the media briefing that was held in Tshwane on Tuesday. “In addition, the department supported 502 informal businesses with either approved business infrastructure or business skills. “We trained 178 cooperatives in the following provinces: Western Cape (44 cooperatives), Eastern Cape (94 cooperatives) and Gauteng (40 cooperatives),” Minister Zulu said. Sefa has supported almost 37 000 SMMEs and co-operatives for the period under review, resulting in over 42 000 jobs aided and sustained. “Compared to the performance expected for the 2017/18 financial year, Sefa has already funded 96% of the targeted SMMEs and achieved 72% of the expected job facilitation and strengthening,” Minister Zulu said. The portfolio of Seda supported incubators for the past three years that created an average of 2 000 new jobs annually. Sefa approved a combined R80 million to two microfinance intermediaries to support informal and microenterprises in three previously unserved Provinces of the Eastern Cape, North West and the Northern Cape. “Over a period of five years, this approval will benefit approximately 84 000 informal and microenterprises, over 90% of whom will be women and youth. “Sefa has approved a R30 million facility to provide credit to about 1 000 informal businesses in East London, Port Elizabeth, Mthatha and Mt. Frere and their surroundings under the Informal and Microenterprise Development Programme (IMEDP) in the Eastern Cape,” Minister Zulu said. A further 1 000 youth entrepreneurs in the North West and Free State provinces will benefit from a facility of R20.1 million cofounded by sefa, Coca Cola Beverages South Africa (CCBSA) and the Free State Department of Economic, Small Business Development, Tourism and Environmental Affairs (DESTEA). Minister Zulu said her department will continue to provide policy direction, coordinate and consolidate research on the small business sector and encourage integrated planning in the small business and cooperatives sector. “The department, together with its agencies, will continue to develop and improve initiatives and strategies to support small businesses and cooperatives in order to fulfil the mandate of the department and to make meaningful impact on reducing poverty, inequality and unemployment,” she said. According to the Minister, the contribution of small and medium enterprises in South Africa is estimated to be between 42% and 47%. “Indications are that the small business sector is beginning to take its rightful place as the engine for our economy. The tax authority has reported that more than 18 000 new SMMEs had for the first time submitted tax returns,” she said. 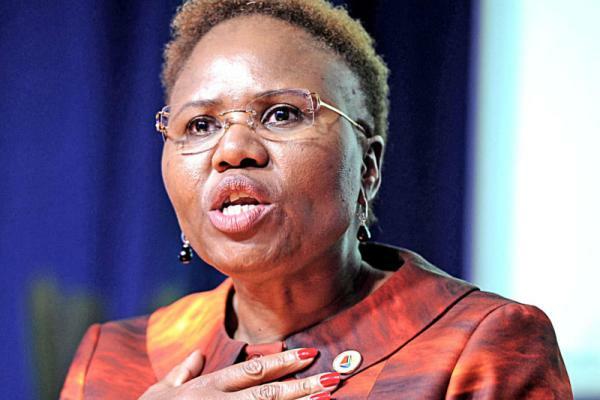 Minister Zulu said the revised 2017 Regulations of the Public Procurement Preferential Framework Act (PPPFA) now compels the public sector to procure a minimum of 30% of their goods and services from SMMEs. “While National Treasury is the custodian of this Act, we worked together on crafting and popularising these regulations. “Currently we monitor progress and already between 1 April to 30 November 2017, 81 out of 184 national and provincial departments procured between 60 to 100% of their goods and services from SMMEs and only 22 departments have not yet reached the 30% target,” she said.